Happy Humpday! 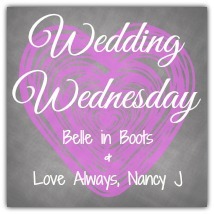 This is my first Wedding Wednesday and I’m excited to link up with Jordon from Love Always Nancy J and Meredith from Belle in Boots. As I’m getting deeper in to the planning process, I’ve been reading more and more blog posts on weddings. I love seeing what other brides to be and recent brides have done, so I thought I’d join in the fun! 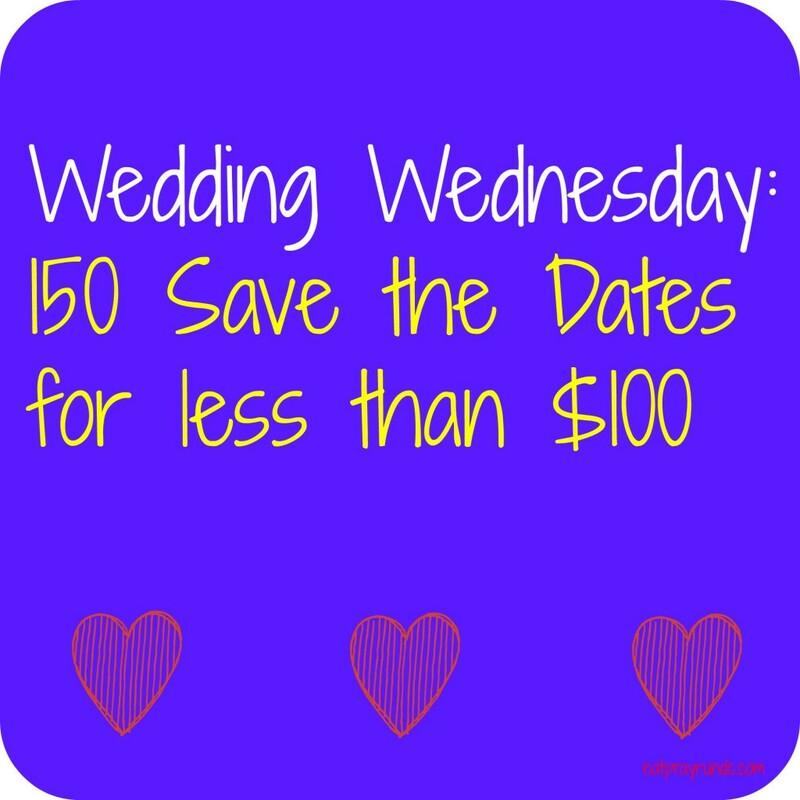 Today, I wanted to share how I pulled off 150 save the dates for under $100! Total cost (not including postage): $83 for 150 save the dates! Have you ever ordered from Etsy? Nope, i’ve never order from Etsy, but I just started thinking about putting things on there once I really start to figure out how it works! Cute cards by the way! Meranda@fairytalesandfitness recently posted…Tasty Tuesday: What’s The Deal With Star Fruit? Those Save the Dates look great! I ordered a lot of stuff from Etsy for our wedding and I kept ordering stuff from there afterward. The most recent thing I ordered was custom covers for some stools from Ikea. I love that there are so many people on Etsy willing to work with you on custom items and I’ve never had a problem with Etsy yet (knock on wood). Checking people’s reviews before ordering is key. lol, I’ll refer you to my big bucket of cards I keep meaning to put in Etsy!! gotta get rid of it. Those are so cute!!!! Look at you Ms. DIY! I love it!!! beautiful, we found a deal online for weddingpaperdivas so you can have an amazing wedding on a budget! unfortunately postage will always get you! The good thing about using postcards was that the postage was less than regular mail 🙂 Only spent about 20$ to send everything! The more time I spend on Etsy the more I love it! I’ve only ordered a couple of things on Etsy so far, including invitations for a baby shower and my parents’ anniversary party. I also ordered a customized “Mrs.” hanger for my wedding dress. Everybody who saw it loved it! Kathryn @ Dancing to Running recently posted…Walt Disney World Marathon Weekend – Day 4 – My First Half Marathon! 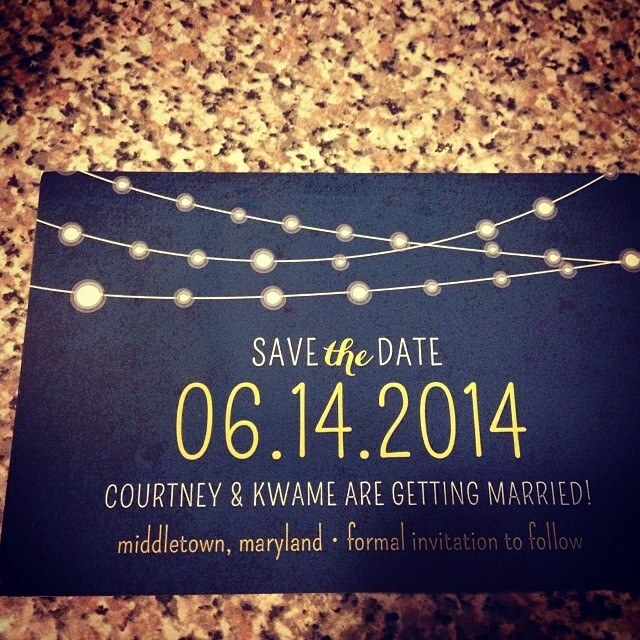 Beautiful Save the Dates! We are trying to stick to a tight budget as well but will be having less than half your guests! I think British weddings generally are much smaller. We designed our own Save the Dates and then got them printed and I shall be making all of the invitations over a long weekend for our wedding in August. Pinterest has been my friend over the last couple of months for ideas!